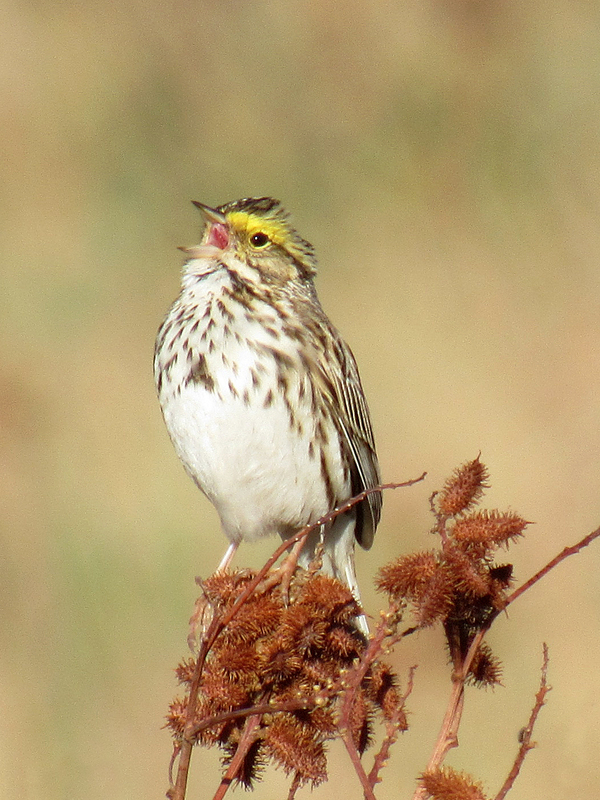 The second sparrow species I noticed singing this spring was the Savannah Sparrow. Since moving to Northwest Calgary at the end of February 2016, I’ve been visiting the urban park and wetland near the Alberta Children’s Hospital at least twice a week. A large part of the park consists of knee-high brush and grasses, where I photographed a couple of coyotes in early April. April’s bird sounds consisted mostly of the calls of gulls flying overhead and the songs of male red-winged blackbirds drifting north from the pond’s cattails. On May 2nd, the soundscape changed dramatically. Throughout the scrubland, a few metres away from each other, invisible birds were belting out the same three-second tune, sometimes in response to another and sometimes overlapping. The photos of the sparrow atop a common cocklebur are from May 6th – I arrived at the park earlier in the morning than on May 2nd, and the sunlight was softer and photo-friendlier. When I drew a Savannah Sparrow in December 2015, from a photo in The Atlas of Breeding Birds of Alberta, I’d never seen one before. 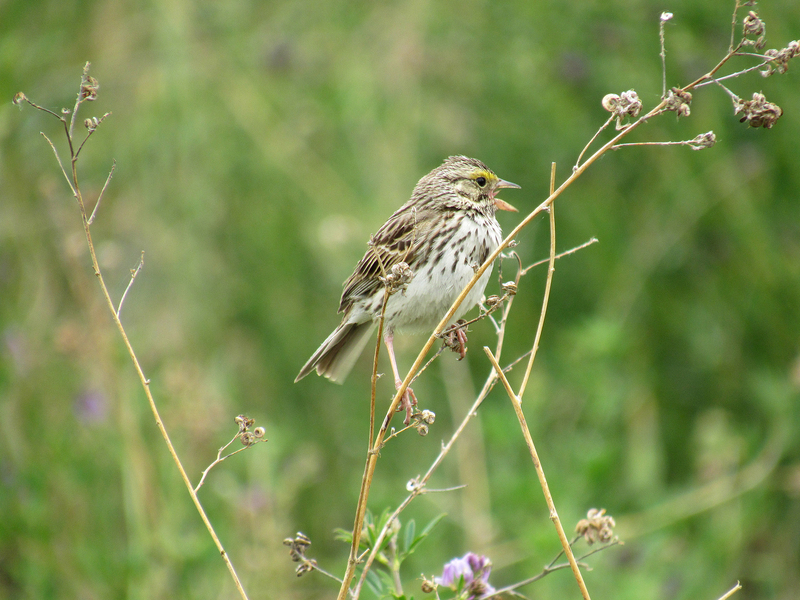 From the atlas, I learned that these sparrows like moist environments with dense ground vegetation, especially longish grasses, and avoid areas with extensive forest cover or short grass. I also read that males are bold and conspicuous in the spring and summer, frequently observed singing from low, exposed perches. And that is indeed what I observed this spring! Their songs are less frequent now. I mostly hear ‘chip’ calls. And the Clay-coloured Sparrows, who arrived about two weeks after the Savannah Sparrows, also sing occasionally and make ‘chip’ calls. 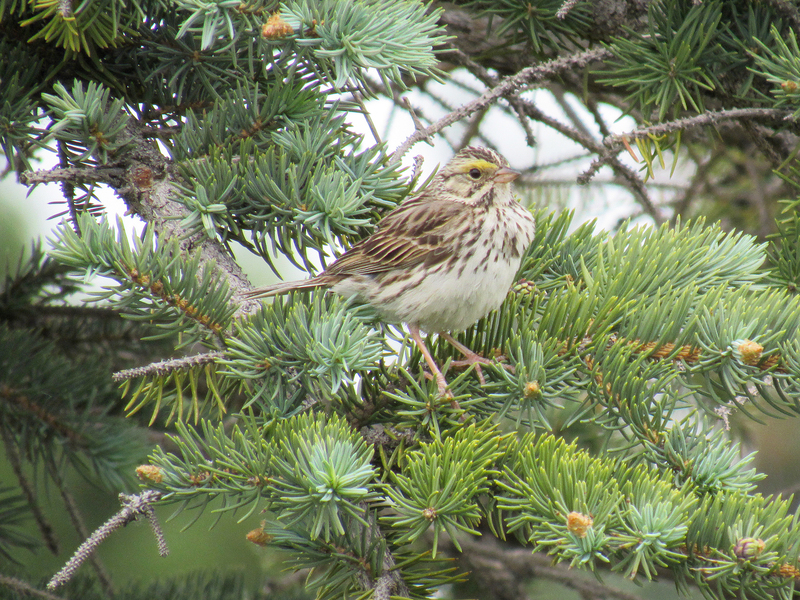 The photos above, from June 18th, are of my closest Savannah Sparrow encounter. That fellow was chipping, not singing, and he posed for me in many different places – a fallen log, a spruce tree branch and a dirt path. 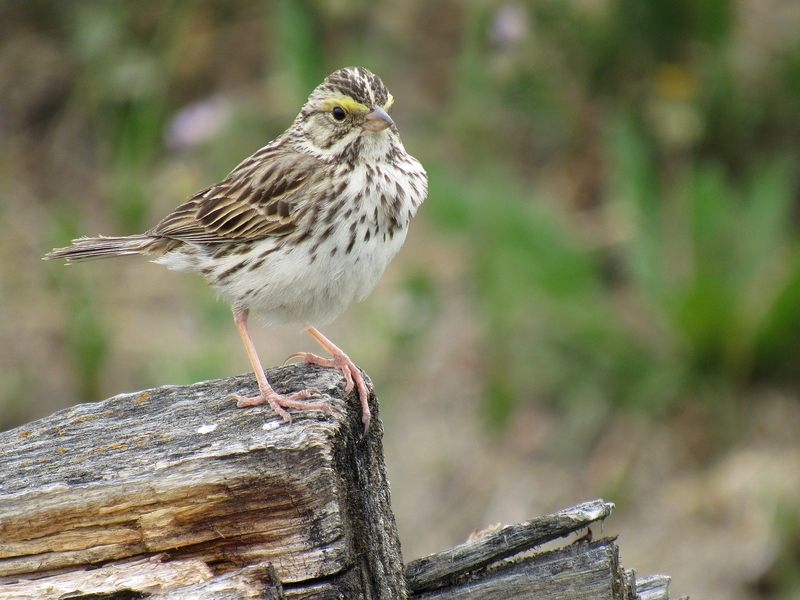 The Cornell Lab of Ornithology’s All About Birds says that a Savannah Sparrow uses chipping sounds when alarmed, warding off intruders, or approaching its nest. The bird didn’t seem alarmed to me; his chips were mellow and infrequent. 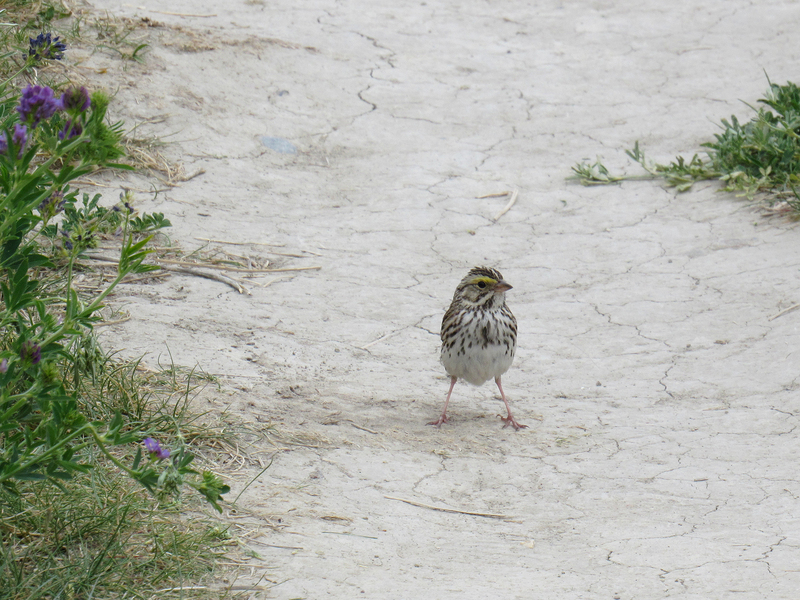 But maybe Savannah Sparrow warnings are less frantic than those of Spotted Sandpipers and quieter than those of Black-billed Magpies. 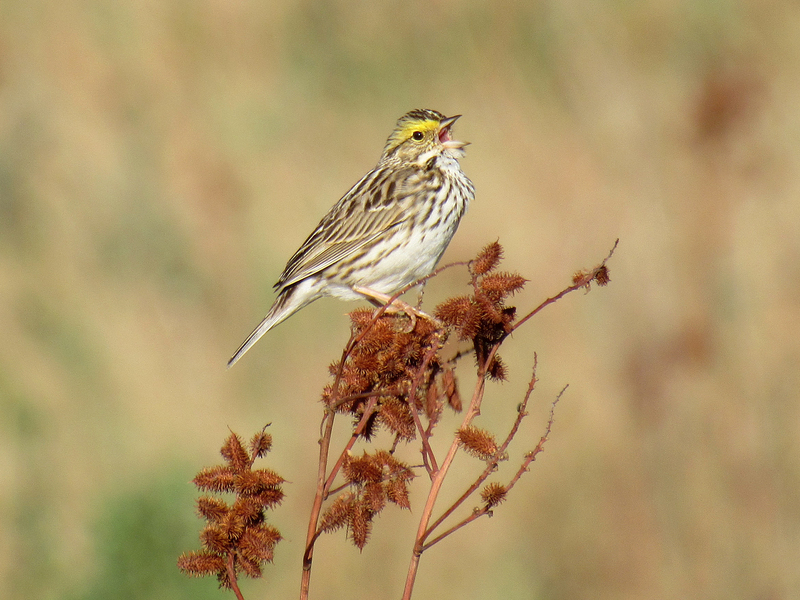 Another Savannah Sparrow was singing on a dry plant stalk in the scrubland. The beiges and browns of April have been mostly replaced by vibrant green dotted with purple and yellow. Most of the purple dots are alfalfa flowers like the ones in the photos below. 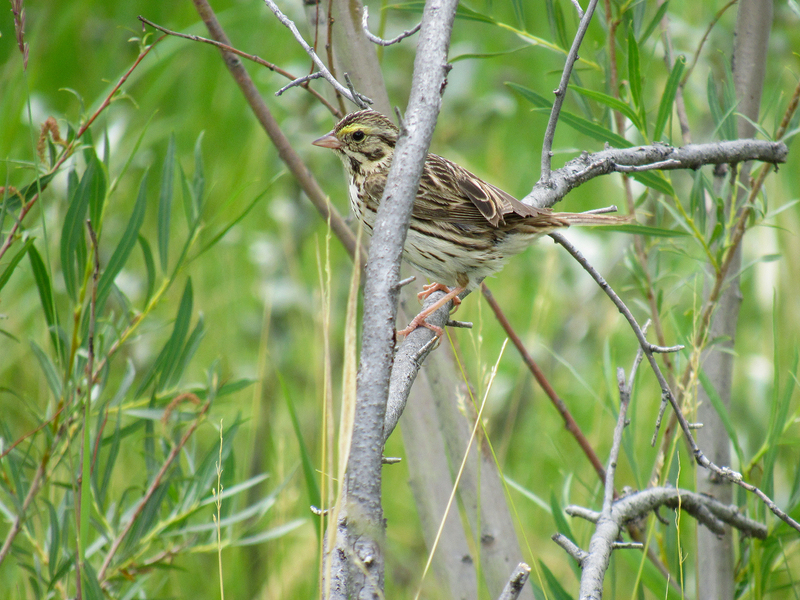 The Saturday before last (July 9th), I photographed a Savannah Sparrow near the pond, among the willow bush-trees. Though the afternoon was overcast, the light green leaves and yellow stems of the willows added a lot of vibrance to the image. My first singing sparrows of spring were the Bowmont Park Song Sparrows. SO SO beautiful Myr! Especially that second close up! LOVE!!!! Aw :-). Thank you so much, Jodi! I love sparrows. These are adorable. Thanks, Kerfe :-). I’m so glad you enjoyed these sparrows. I like the Cornell site a lot for identifying birds and learning about them. I remember last August, when I posted a photo of a Cedar Waxwing, you mentioned looking up bird sounds. I didn’t know many bird sounds back then but you inspired me to use to Cornell site to learn a few more. It is fun to know which birds are around without having to spot them with my eyes. I know, when I can hear but not see the bird I always want to know what it is. Such beautiful images of them!! I love the images of him singing, and the ones where it’s among the flowers. Thanks so much, Deborah :-). Flowers and song do add a little extra magic to little birds. I’m already looking forward to next spring, when the grass and brush will be filled with song again… and aerial chases. They sing so beautifully and it’s so wonderful that you captured them in song. Thank you. Thanks for your lovely comment, Laura :-). I’m delighted that you’ve heard them singing! Merci pr communiquer tes talents artistiques avec tant de vivacite et de realite. Felicitation,quel regal pr les yeux,J aime ,j aime.Pourquoi ne pas en faire profiter ttes les mamans.Publie un livre avec ses splendides et vivantes photos. Chère Jeanne – Très heureuse que tu as apprécié mes photos des bruant des prés. J’adore leurs sourcils jaune! À propos d’un livre de photos, peut-être un jour, mais pour le moment, il y a beaucoup de gens qui prennent des photos beaucoup plus éblouissantes que les miennes. Et aussi, je crois que les photos sur le web c’est plus facile d’accès que les photos dans un livre. Mais c’est vrai que les livres avec photos d’oiseaux ou art d’oiseaux ont un charme particulier. So nice ! Colors, sharpness, bokeh, Savannah sparrows are lucky with you 🙂 American sparrow species are so numerous, perfect for identifying them, thank you Myriam ! Holy smokes, Myriam~these images are stunning! Pretty great that you have these. They aren’t around much anymore here, but we are working to restore their habitat so fingers crossed, maybe they will return. Thanks, Melissa. I’m glad you enjoyed the photos. I felt pretty lucky to get close, unobstructed views of these lovely birds. 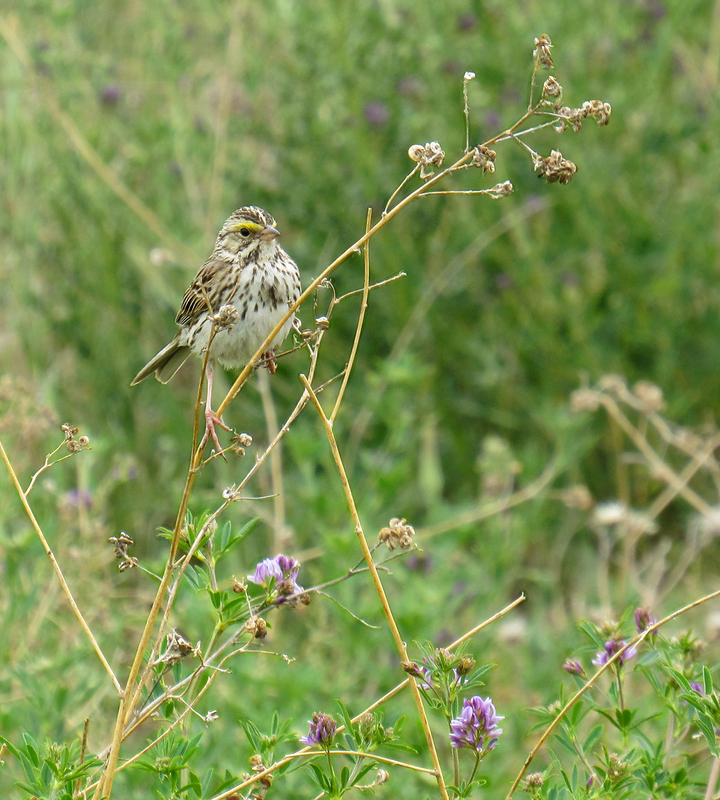 And I am also lucky that there are a few grassland areas near my home where savannah sparrows like to live. What happened to their habitat in your area? In our flurry to save prairie, then wetland, we didn’t notice at first that savanna was itself a habitat and didn’t fight soon enough to save it. Developers, blast their black hearts, LOVE it for their ugly beige mcmansionvilles. As a result, we have very few acres left of open savanna under spreading, 200 year-old oaks. You can restore a prairie in a generation, but big trees take time and space, alas. Rollins Savanna, which I’ve mentioned a few times, is a great preserve. 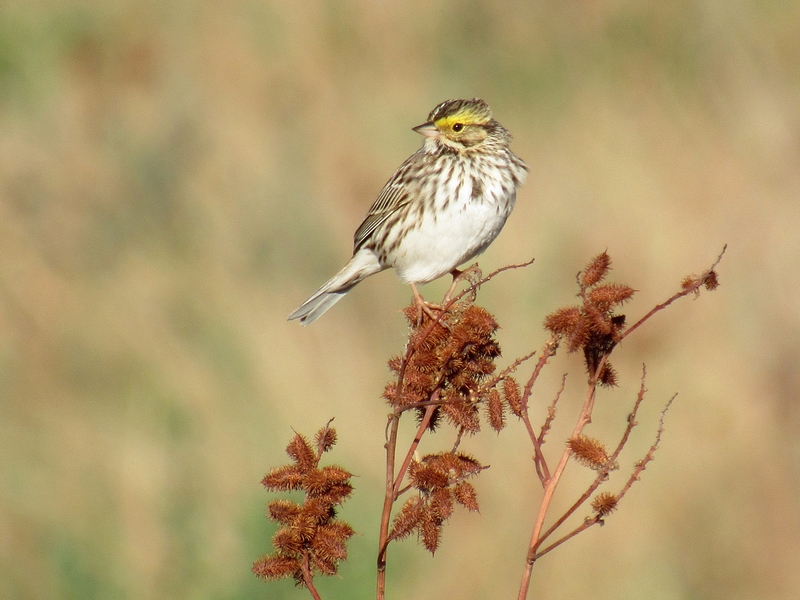 Bobolinks have appeared, and short-eared owls, but not savanna sparrows yet. By the way~I’m sorry to have taken so long to respond (again!) My old computer finally tottered off to pasture and I’ve been without a computer all week. Today I went out and invested in a new one. Oh boy! So hopefully I’ll be better about responding quickly now. Congratulations on getting a new computer! No worries about taking a few days to respond. I’d like to apologize back 10-fold for taking a month to respond! This month has been quite busy for me. I also took a week off from using my computer… which was pleasantly unusual. Thanks for explaining the savanna issues in your area. It makes sense that humans notice some habitats more than others and also are inclined to preserve habitats they appreciate more than others. I’m glad that the Rollins Savanna was preserved – it looks beautiful in photographs and in your paintings. 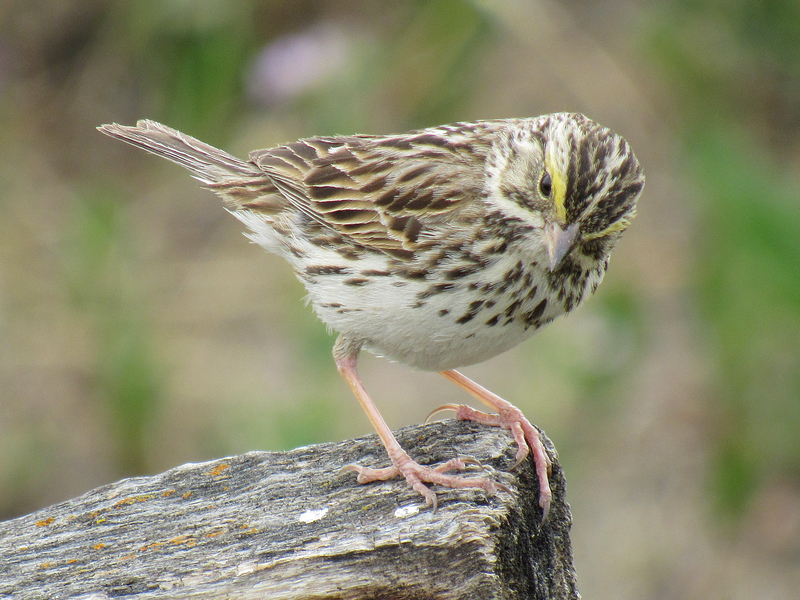 I read on the Lake Cook Audubon website that Rollins Savanna does have Savannah Sparrows! Not sure how common they are though. I don’t think Savannah Sparrows need the big trees. I read that they were named after Savannah, Georgia and thrive in areas with moist, tall, dense grass and few trees. The area where I photographed Savannah Sparrows and where I saw the highest concentration of them this year has now been reduced by 20-25%. The hospital needs a new parking lot. I’m a little sad, but not very surprised. The land was perfectly flat tall-grass and low-shrubs near the city center and between two major hospitals and a major university. I suppose it is good that the parking lot builders waited until the birds nested (they nest on the ground in dense patches of tall grasses (or other kneehigh-ish vegetation)) and their young fledged. I wonder how the Savannah Sparrows will feel about their smaller habitat next spring. Photos are superb. Feel like painting them.